John Weiss & Son, the leading manufacturer and distributor of gold-standard ophthalmic micro-surgical instruments and procedures, is pleased to announce the appointment of Juanita Robinson in the role of Regional Sales Manager. Based remotely, Juanita will be responsible for the North of England and Scotland. Juanita worked for John Weiss previously as Regional Sales Manager for the South of England but, unfortunately, had to leave the company when she relocated last year. With more than 10 years' experience working for pharmaceutical and medical device companies, Juanita re-joins the company with excellent existing knowledge of the John Weiss products and in-depth industry experience. Speaking about her appointment, Juanita said, "John Weiss have an excellent reputation in the ophthalmology sector and I am very pleased to be part of the team again. I look forward to building relationships with my new customers in the North and facing the challenges that this busy role will bring." Grahame Wood, John Weiss & Son National Sales Manager, said, "We are delighted to welcome Juanita back to the John Weiss team. 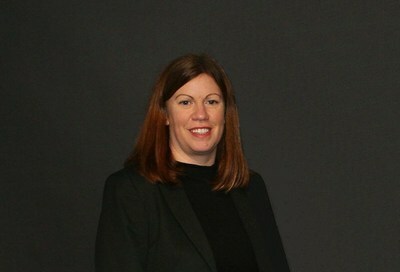 Her vast product knowledge and industry expertise will be an asset to the growing sales team."